The popularity of audiobooks is increasing, and with good reason. After a long day at the office or in the car, many of us are simply too busy to sit down and physically read an entire book—or even a single page. With audiobooks, however, avid readers can commute, work, run errands, and still cross their favorite novels off their reading lists. This is why Books Out Loud: Bowker’s Guide to Audio Books, 2019 is the perfect, must-have collection development and reference tool for any library or bookstore. In two, packed volumes, this helpful resource offers bibliographic information on over 300,000 audiobooks from more than 10,000 producers and 2,100 distributors and wholesalers. Works in this guide represent a comprehensive look at the contemporary marketplace of spoken-word publications, all jam-packed into a whopping 3,000+ pages. Within these two volumes, your patrons will have no trouble locating the audiobook they’re looking for, whether it be Stephen King’s newest novel or one of fourteen available versions of J.R.R. Tolkien’s The Hobbit. Books Out Loud is divided into six indexes for the user’s convenience: Volume 1 contains the first part of the Title Index (A-S), while Volume 2 contains the second part of the Title Index (T-Z), as well as the Author, Reader/Performer, Subject, Publisher Name, and Wholesaler & Distributor Name Indexes. In addition, Volume 1 is preceded with a handy “How To Use” guide, lists of Publisher Country Codes, County Sequence, Language Codes, and Abbreviations, and a list of the most recent Bestselling Audiobooks and Audie Winners from Publisher’s Weekly. The Author Index lists each entry alphabetically by author and consists of truncated entries that include the author, title, and producer. At the end of each entry, a page number refers the user to the complete entry in the Title Index. The Reader/Performer Index lists each entry alphabetically by names of readers or key cast members. Like the Author Index, it also consists of truncated entries, noting the reader/performer, title, and producer, and citing the page number of the complete Title Index entry. The Subject Index arranges entries alphabetically by author within subject. If no author is given, the entry is filed alphabetically by title within the author arrangement. A complete listing of all subjects can be found in this index. Entries in the Producer Name Index are arranged alphabetically by the publisher’s abbreviated name used in the bibliographic entries. They contain each publisher’s name, followed by its ISBN prefix(es), business affiliation (when available), and contact information. Finally, a listing distributors and wholesalers can be found in the Wholesaler & Distributor Name Index. Information listed for these businesses includes name, ISBN prefix(es), and contact information. 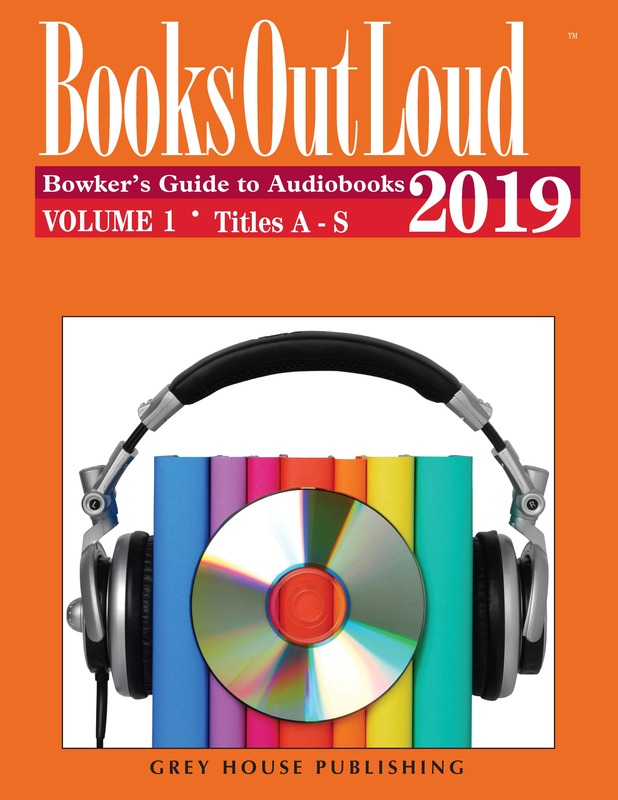 Books Out Loud: Bowker’s Guide to Audiobooks, 2019 is the most complete, up-to-date compilation of audiobook listings on the market today. 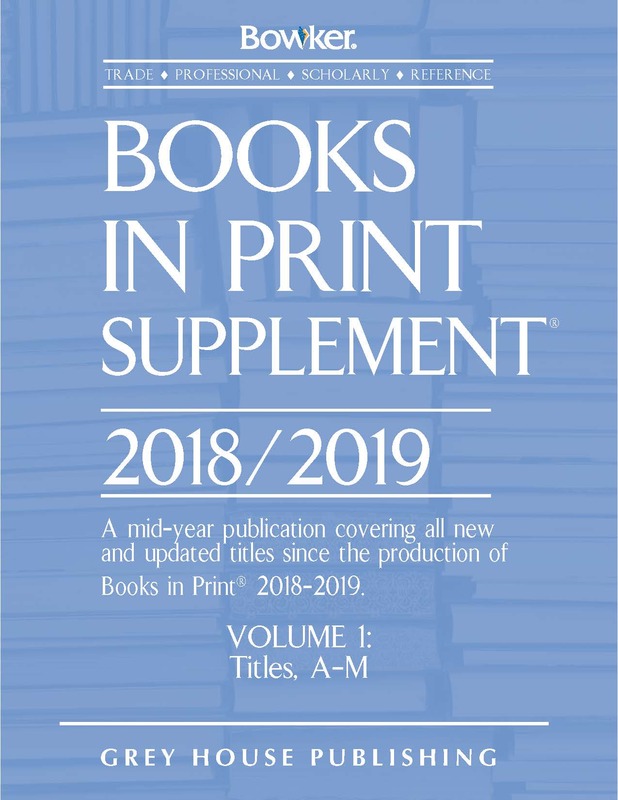 Bowker’s editors have kept abreast of all the latest activities and developments in the audiobook industry, and, with this new edition, provide the public with the most complete, authoritative bibliography of its kind. 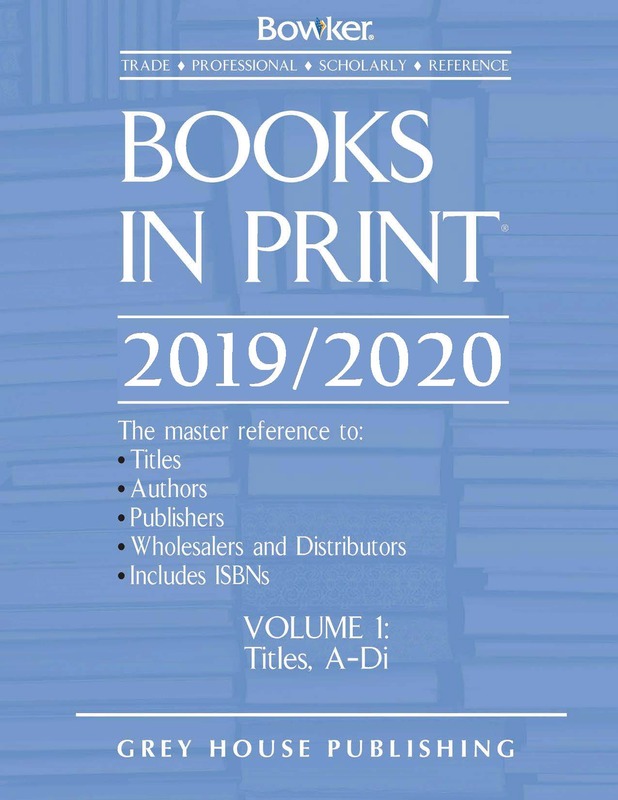 Books in Print, now in its 70th Edition, is the go-to source for bibliographic information on the over two million titles published or distributed in the United States since 2005. 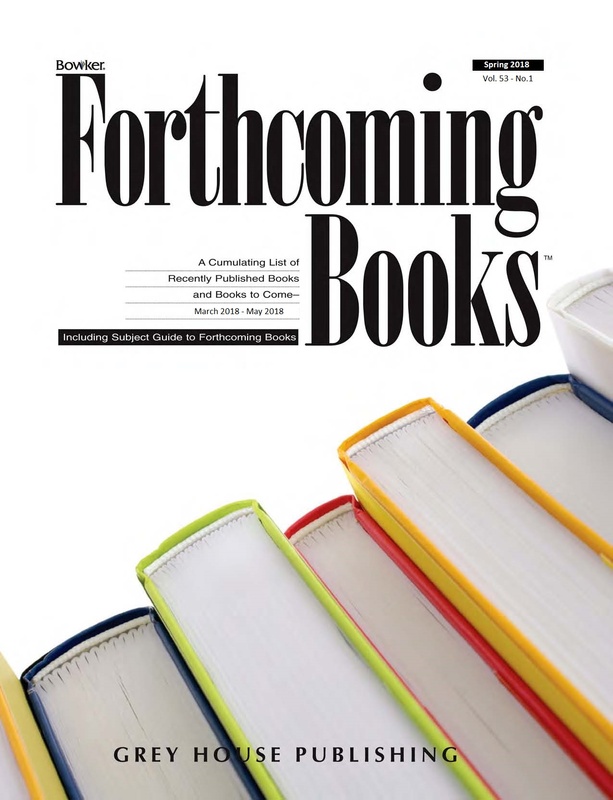 This seven-volume, 18,000-page edition offers users immediate access to over 2.5 million active titles from over 75,000 U.S. publishers. Published four times a year in March, June, September, and December, R.R. Bowker’s Forthcoming Books helps users anticipate thousands of upcoming releases in the world of publishing, updating titles found in the current edition of R.R. Bowker’s Books in Print. This authoritative guide contains the most accurate, up-to-date bibliographic information available—information that is necessary to stay current with patron requests, book acquisition, and collection and niche development.